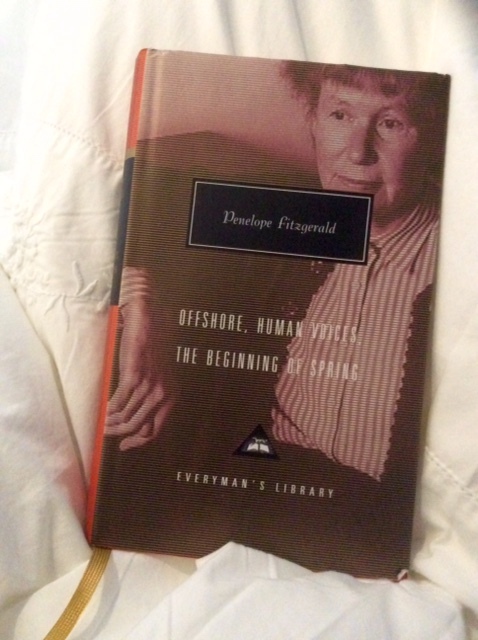 So begins The Beginning of Spring, the third of the Penelope Fitzgerald novels I read in the Everyman trilogy. Set in Russia, significantly just before the twin catastrophes of WWI and the Revolution, it’s completely different from the other two, set in England in the recent past, and both wry comedies. This one is too, but it’s darkened and chilled by the harsh early spring of Moscow, and the Russian tendency towards tragedy and intrigue. Frank had been born and brought up in Moscow, and though he was quiet by nature and undemonstrative, he knew that there were times when his life had to be acted out, as though on a stage. Does this mean that Muscovites are a dramatic lot, and only histrionic behaviour will register? Or that Frank finds it difficult to engage with souls as ardent as Nellie’s (don’t be fooled by her music-hall name)? Maybe he’s just not very good at acting – in all senses of the word. It hadn’t been necessary – they were hardly ever apart, and in any case she talked a good deal. Not so much recently, perhaps. These are Frank’s thoughts, indirectly narrated. But has he intuited that she was unhappy with her marriage? Fitzgerald is too subtle an artist to tell us. The possibility is hanging in the air somewhere in Frank’s vicinity. We are party to his perplexity and slow-dawning realisation. …he couldn’t tell at the moment. He put that aside, to judge the effect later. Fitzgerald shows this entire marriage and its fissures, this perplexed husband, his wife and their natures, in the first three pages of the novel. With the terrible aimlessness of the benevolent, he was casting round for a new misfortune. Frank tends to patronise him, realising much too late that he’s underestimated him. Selwyn’s selfish philanthropy is presented with deceptive lightness; he’s more dangerous than he looks here; Fitzgerald’s prose is always poised to surprise. The children, when they mysteriously reappear in Moscow, sent back ‘like parcels’ by their bolting mother, are preternaturally astute – far more so than Frank – as they were in Offshore. Jacqui Wine has written well about this (link at the end), so I’ll refrain from doing so here. Restless as a bird of prey which has not caught anything for several days, she nodded him towards the seat next to her. Perhaps children were better off without a sense of pity. As ever these seem to be Frank’s thoughts we’re privy to; for once he’s probably right: they cheerfully transfer their affections from their mother to Lisa with the insouciant rapidity of youth. And these thoughts are filtered through the sensibility of the poised, non-judgemental, omniscient but reticent narrator – who prefers to withhold as much as she discloses. For that’s how are lives unravel in reality: unmediated, mysterious. As with Offshore and Human Voices, which I wrote about last, I’d recommend this short, wise novel. It has one of the finest, most startling last sentences of any novel. 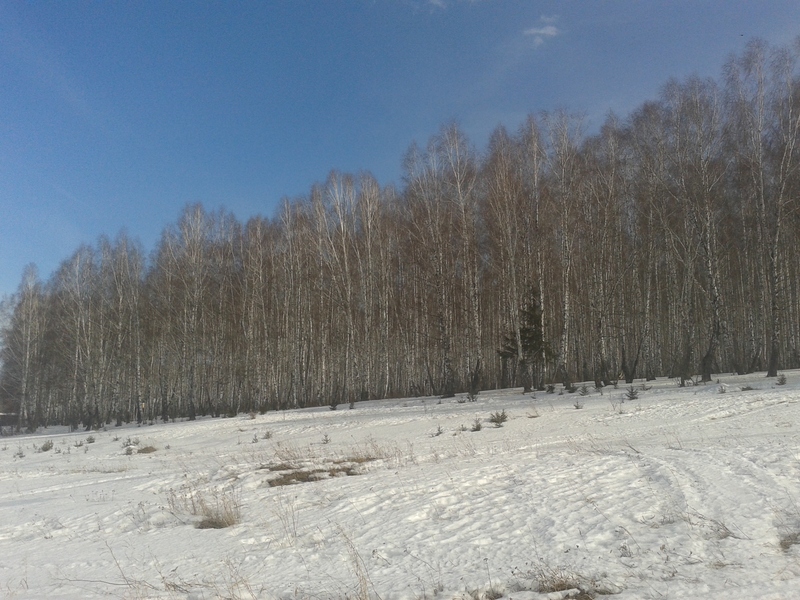 Dolly saw that by every birch tree, close against the trunk, stood a man or a woman. They stood separately pressing themselves each to their own tree. Then they turned their faces towards Lisa…Dolly saw now that there were many more of them, deep into the thickness of the wood. What’s happening here? It seems like a witches’ sabbat, a mystical-spiritual meeting maybe. Or political? It seems a sort of epiphany, but for whom? Who is Lisa communing with? As noted above, Jacqui has an excellent review of the novel at her blog. This entry was posted in English Literature and tagged Everyman's Library, Moscow, Penelope Fitzgerald, The Beginning of Spring by Simon Lavery. Bookmark the permalink. Excellent review Simon, and I take on board what you say about a second read being needed – this may be why I felt a little underwhelmed by the novel when I read it. Perhaps I need to give it another chance. Fitzgerald is so unflashy you need perhaps to be in the right frame of mind. She creates atmosphere with such quiet authority. So glad you enjoyed this one, Simon – and thanks again for linking to my review, most kind of you. You’re welcome, Jacque. Yes, the Russian setting is evoked superbly – it really convinces. 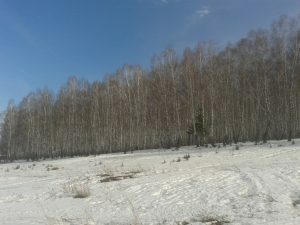 At least I’m not alone about that enigmatic birch grove scene. Is she evoking one of the Grimm fairy tales? I immediately thought of Hansel and Gretel where the children are abandoned in the wood because their parents have no money to care for them, and the fairy tale goes on with what happens to the children. Could Lisa with her child be threatening to abandon her there, and the men and women of the trees be parents forever guilt-stricken over what they have done? Interesting interpretation, Lisa; plausible. But Lisa had left the dacha late at night alone, & Dolly woke & challenged her. Lisa hadn’t wanted or intended taking her with her – it was a private tryst or meeting she seemed to be going to, an appointment. But there IS a magical, fairy tale feel to the scene. It’s as if the trees themselves come to life. Or it’s a secret meeting…it does have a menace too, As you suggest. That first quote though! It’s almost Graham Greeneian in its quiet brutality. ‘Not so much recently, perhaps.’ Ouch. Greene would have been happy with that as a sucker punch. I’d be interested to hear what you think of it, Max. Comparison with Greene hadn’t occurred to me, but you’re right about that quotation- she’s not averse to the steely blade when it’s needed. This is such a richly layered novel.